It's July 4th weekend and it's going to be hot, hot , hot. That means sunscreen, sunscreen , sunscreen. Awhile back I did my sunscreen expose ( The FDA has since finally updated the rules) talking about how much I love Mexoryl based sunscreens. I have always had people truck back some from overseas, but had not yet used one of the few brands to use Mexoryl that can be bought here- Anthelios by LaRoche -Posay. Anthelios has 2 sunscreens with Mexoryl SX : Anthelios SX and Anthelios 40 . A new addition to the Anthelios line is Anthelios 50, a 100 % mineral based SPF that also is great. Anthelios SX is a daily moisturizing cream with SPF 15. This is much like a body lotion, only a bit heavier. There's no white cast and it sinks in fast. 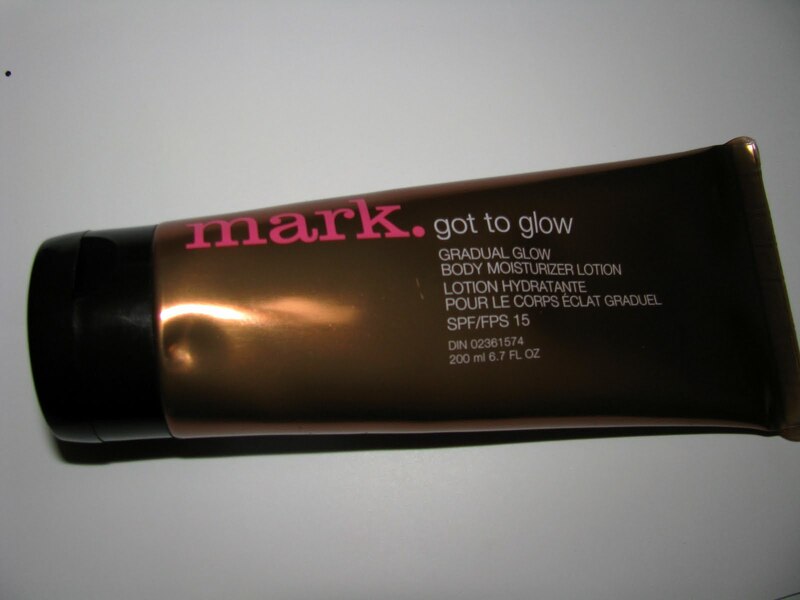 It has a nice light scent and is great for everyday wear. 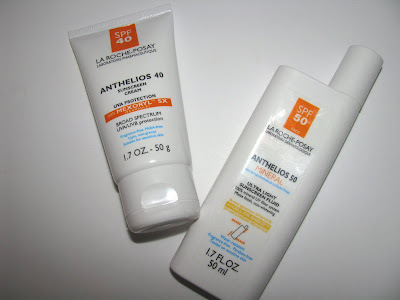 Anthelios 40 is a regular sunscreen cream with high protection . This one goes on thick and has some white residue, but that easily blends in. I've been using this a lot , for daily use, and have not noticed any suntan getting through on my arms . Once you apply it , it doesn;t feel like anything is on . Anthelios 50 Ultra Light Fluid ( new) has 11% Titanium Dioxide with a patent pending CELL-OX SHIELD™ formula that offers antioxidants as well as SPF. It's is a thin liquid that goes on very sheer. It dries fast and leaves behind a matte finish with little moisture making this a great choice for faces. It feels barely there. Each of these makes a great SPF choice and I feel good having them all at hand. I try and use the Mexoryl ones everyday as they work and work well. Nothing does the job like Mexoryl. La Roche Posay is dedicated to sun safety and continues this year with their Save Our Skin initiative http://www.sossaveourskin.com/ , which is a national awareness campaign encouraging daily sun safety. To that end they have a very cool iPhone app My UV Check. 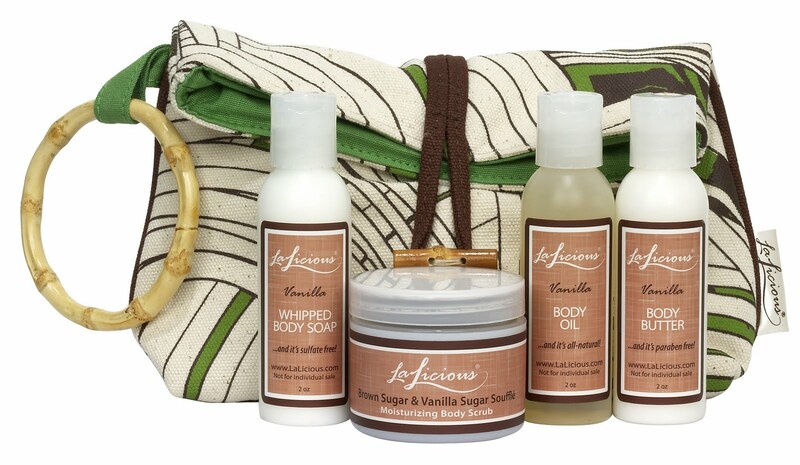 From now until July 1st super smelling LaLicious is offering 50% off their Travel Bags. Packaged in a chic, canvas clutch, LaLicious’ Travel Bags are loaded with everything you need to keep your body cleansed, smooth and moisturized, in convenient travel-friendly sizes. Sets available in eight of LaLicious’ most popular scents, these 2oz products include: Whipped Soap, Sugar Souffle Scrub, Body Butter and Body Oil. Total Beauty started a Groupon like sale awhile back. Every so often they have a great half off deal on top products. 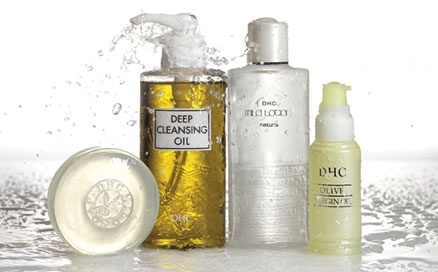 This week it's $50 in DHC products for only $25. Voucher can be used at DHCcare.com. Voucher expires Sep 30, 2011. Limit 1 per person. Voucher does not apply to shipping or tax and cannot be combined with other offers. Voucher must be used during one transaction on DHCcare.com. May be purchased as a gift. Returns limited to exchange only. 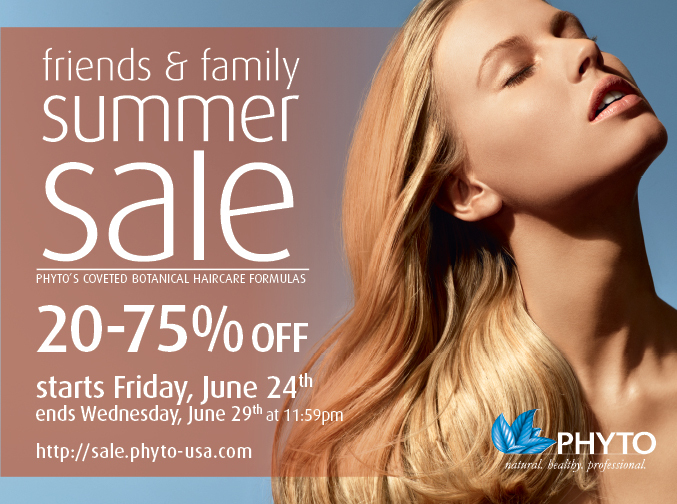 Last Day for the Phyto Friends and Family, including Phyto Plage for summer. • Iridescent: tiny pearly particles that play with the light and release luminous color with an iridescent finish. • Matte: an extra-matte, ultra-soft finish for ultimate comfort. 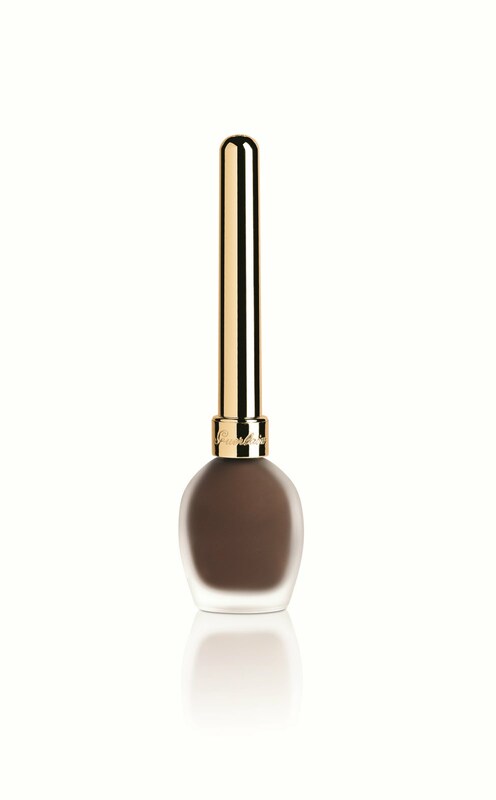 • Velvet Satin: perfect glide for a velvety result that feels soft and delicate. • Alcatar’eyes: a metallic finish with unbelievable softness. 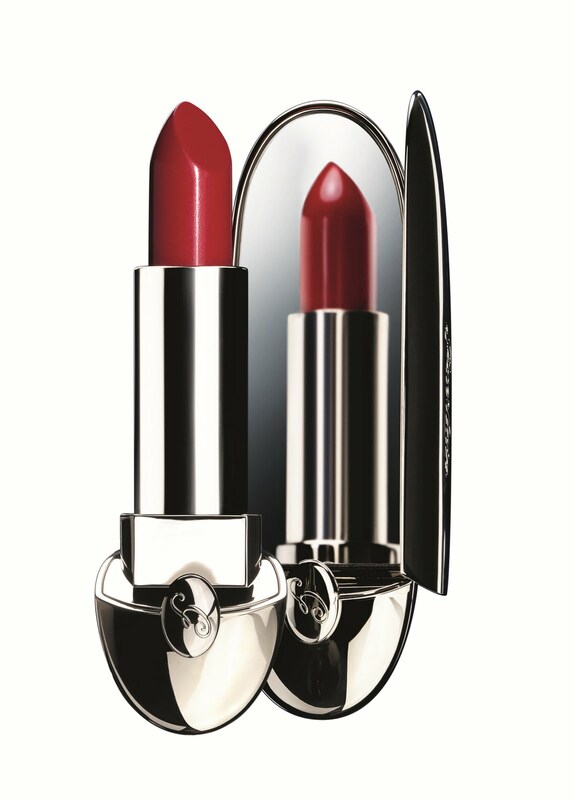 25 Garçonne - deliciously intense, daringly bold, a real red, chosen by Natalia for its incomparable, timeless chic. 71 Girly- a pink that plays up its delicate side but is less innocent than it appears. 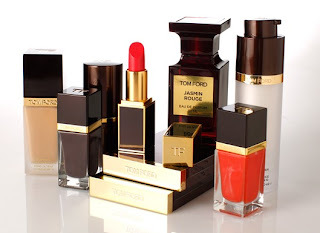 I'm crazy for luxe lip balms. 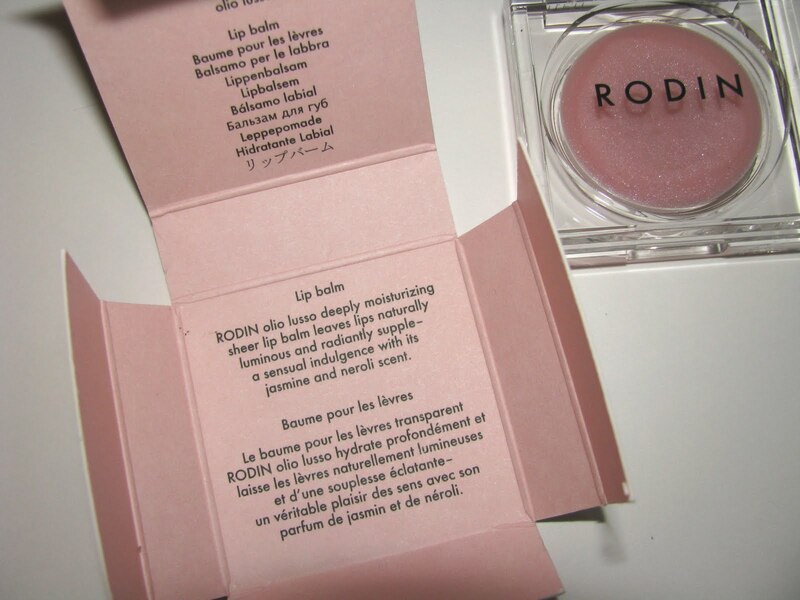 Ok, I love most lip balms usually, but there is something about the high end ones that make me swoon. I feel better when using them , silly as it is may be. It's one of those pick me ups . I first spied this one by RODIN olio lusso at The Elements show in NYC in January. I liked it so much I even tweeted a picture of it. It took until now to try it and I'm loving it even more. The balm gives plenty of moisture and feel light on lips. It has a sheer tint of pink and slight pearl shimmer along with a tiny hint of orange blossom scent. Ingredients include castor seed oil , shea butter , jasmine oil , orange flower oil, aloe leaf and argan oil. 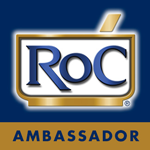 The brand is known for using essential oils and botanicals. While my lips aren't as dry this time of year as winter ( when they are never not dry) I can still appreciate how moisturizing this is and will be on lips come cold weather. I also love the pink tint, for those times when you want "just enough". 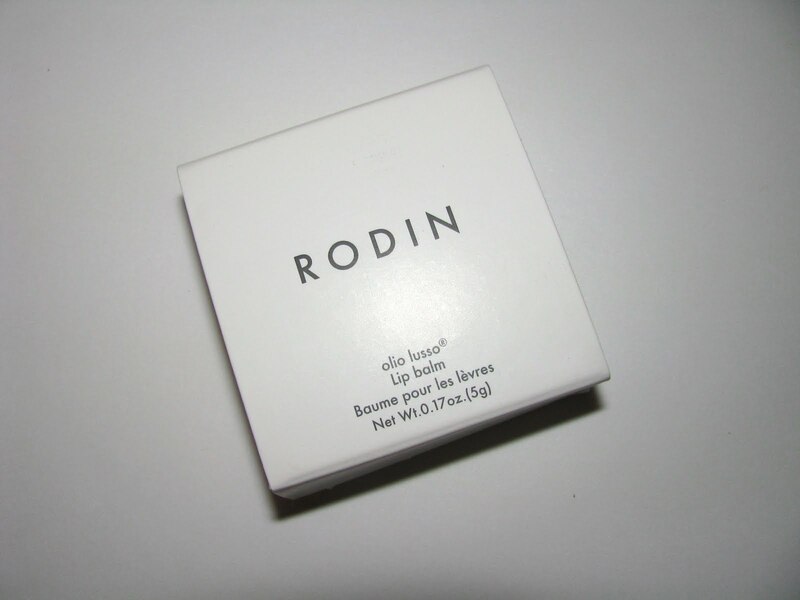 You can find Rodin olio lusso online and in store at Barneys NY and http://www.beautyhabit.com/ as well as http://www.oliolusso-shop.com/ . There you can see the full range of products including the makeup artist favorite face oil. 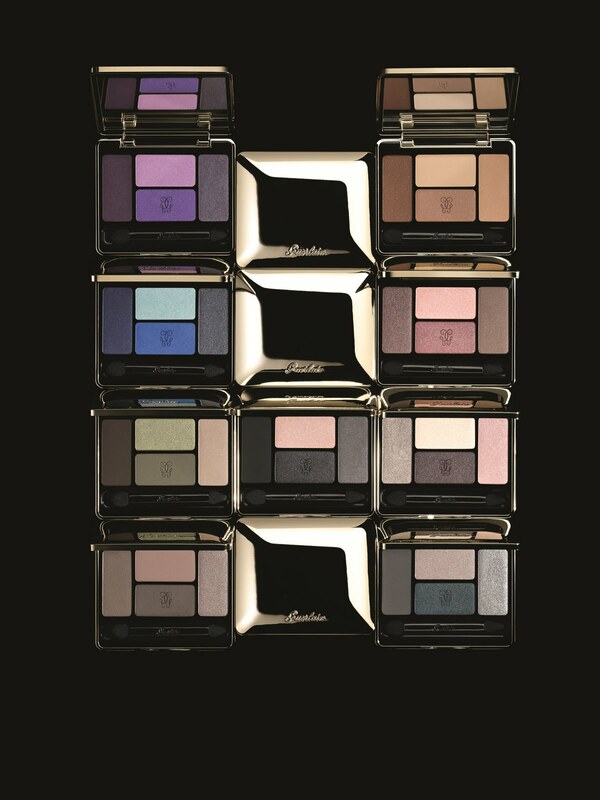 Within the Semi -Precious collection from MAC are 12 eyeshadows. 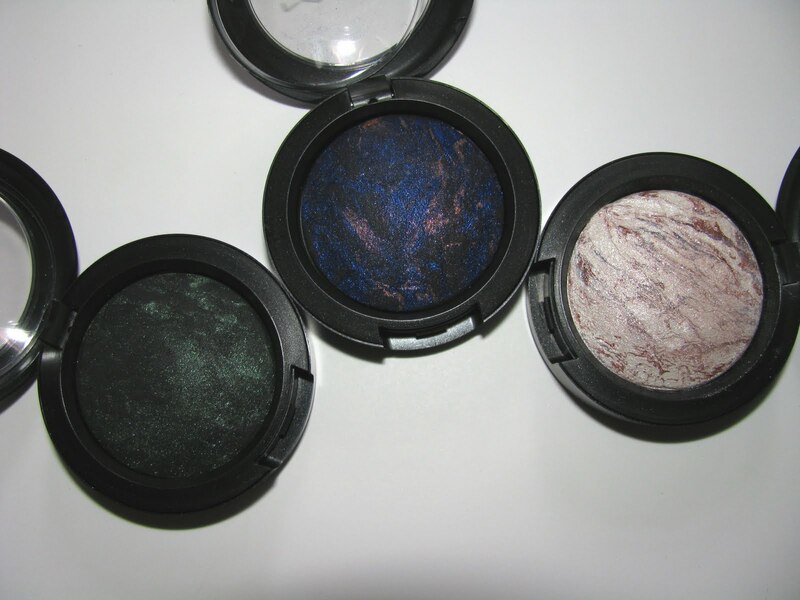 I'm showing 3 of my favorites - Dark Indulgence, Blue Sheen and Mineral Mode. Mineral Mode is the one that really caught my eye. It goes on light and champagne looking, nothing too different , but I love the veins of color here. They make it special . More so to me than the deeper shades. Semi Precious is on counters July 7. All shades are LE across the collection. Semi -Precious from MAC is an entire collection of Mineralize as well as four new Split Fibre brushes , lipsticks and Cremesheen Glass. 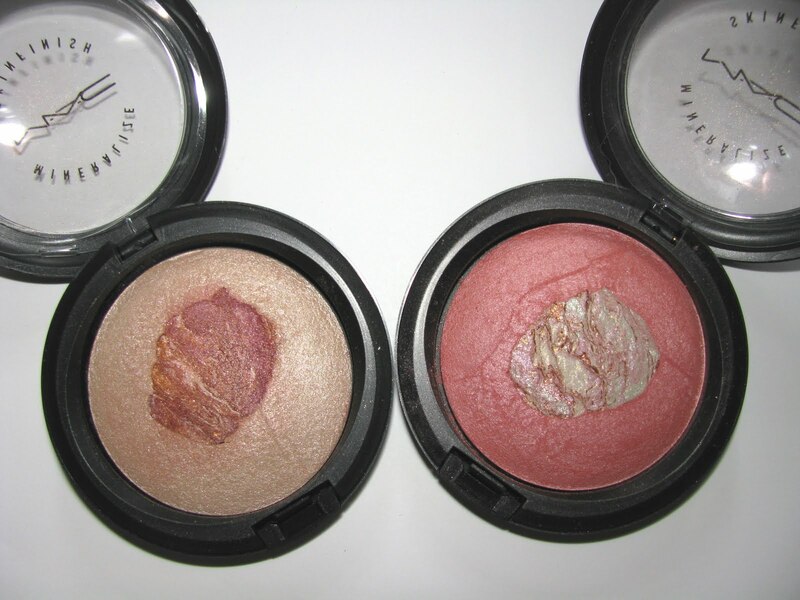 There are Mineralize Eyeshadows, Blushes and Skinfinishes. First up the Skinfinish. Two of the four available- Semi -Precious Pearl and Semi- Precious Rose Quartz. I am a big fan of Skinfinish in general and these get my love too. My favorite items of the collection. 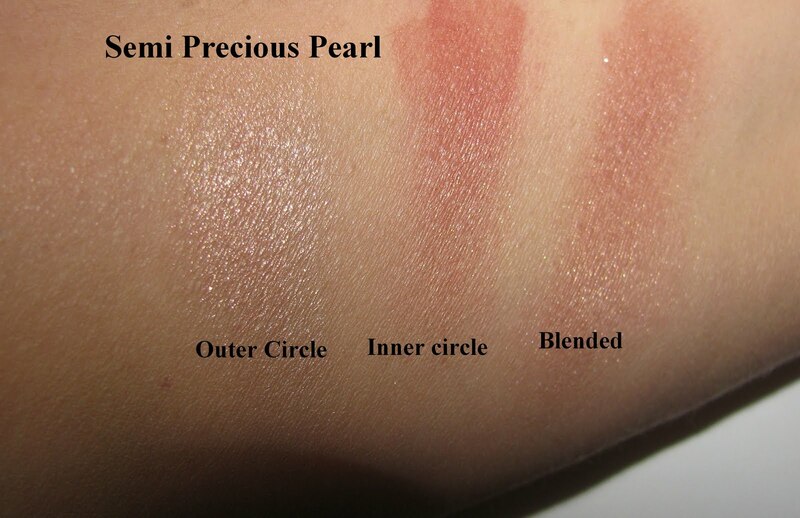 They can be used as a highlighter , a blush or blend the two circles together for a new shade. Semi -Precious is on counter July 7th . 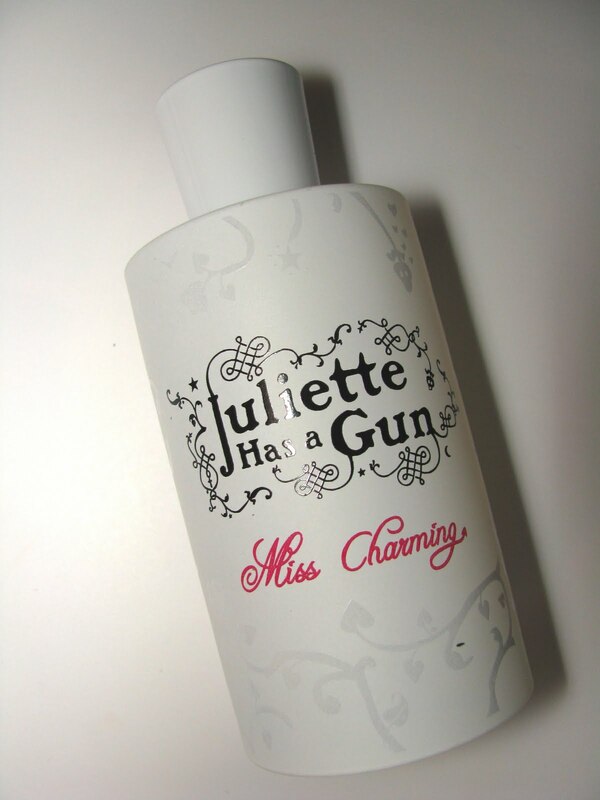 Juliette Has A Gun " Miss Charming"
Charmed, I'm sure. Well I was. With Miss Charming and her blooming bouquet of the softest scented roses that never feel heavy. If you are a rose lover , and I am, then you too will most likely find this to your taste. Created by one of my all time favorite perfumers , Francis Kurkdjian for niche fragrance house Juliette Has a Gun, this rose is a very true rose with only a hint of powder . It's more green and fresh. Miss Charming begins all rose and then some of the fruit notes come in. It never gets too sweet but you can definitely detect the berry notes. They mesh well with the rose here . Many scents can go too fruity and be all about just that. That doesn't happen here and the ingredient quality is high . By the drydown a little musk is there but it's still very much a rose scent. Miss Charming is very feminine and ladylike with light sillage and lasting power that wears quietly. It's simply pretty . Juliette Has a Gun and Miss Charming are available at websites http://www.juliettehasagun.com/ , http://www.luckyscent.com/ , and http://www.beautyhabit.com/ and Henri Bendels in store . More outlets listed on website as well as the rest of the perfumes. Check out Lady Vengeance for rose with an edge. Retail is $ 85.00 for 50ml. Bare leg season is here and that means hair removal. For me it's razors. Depilatories totally remove any trace of self tanner so they are out. Even though I love moisturizing razors like the Venus Pro Skin I also like the close shaves of the Bic Soleil and Shick Quattro. ( Yes like almost every beauty product I own, I have multiples ). Sometimes those closer shaves can make your skin feel a little irritated which is where a good shaving agent comes in. Pure Silk , one of those bargains that are really worth it, now has new Shave Creams varieties . The new Shave Cream's are geared towards dry or sensitive skins . The creams are thick but still foam a little, but most of all have a lot of moisture and are made to counteract irritation. Ingredients include aloe, lanolin and Vitamin E. And it does work. In the past I had always used gels. I use the Soleil razors a lot but have had my share of irritation with them , but not since I've used been using the dry skin formula. You have to love one a bargain. Pure Silk Shave Cream comes in Moisturizing for Sensitive Skin and Moisturizing for Dry Skin and is available at most drugstores for usually less than $ 2. This week it's at Walgreens for $ 99 cents with in store coupon. Want a quick hit of big color that's super easy ? 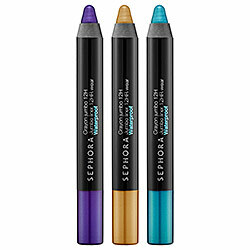 Look no further than Jumbo Liner Crayon 12 HR Wear from Sephora . Not just for eyelining , these easily go all over the whole eye in once swipe. I love quick pencils like this because while sometimes I have lot of time for makeup , like most people I often have very little time to get it done. I still want it to look good of course. Sephora's Flashy Waterproof liner has been a top favorite of mine for years. 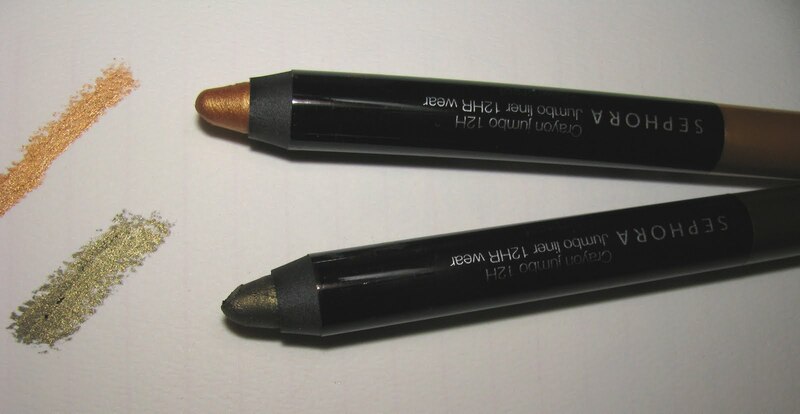 One of the longest lasting products ever on my eyes and the new Jumbo Liner lasts really well too. It's also supposed to be waterproof though I haven't tested that part yet. I love the Olive shade, Kaki, for a fast smoky eye. The olive is a change up and great for summer. Add a little light gold in the inner corner and I'm set. And yes I wear this as a daytime smoky eye. There are 14 shades at $ 10.00 each, ranging from basic black to bright turquoise. The quality is tops and they are an easy to stash item for during the day touch ups. Shades shown are Kaki and Gold. 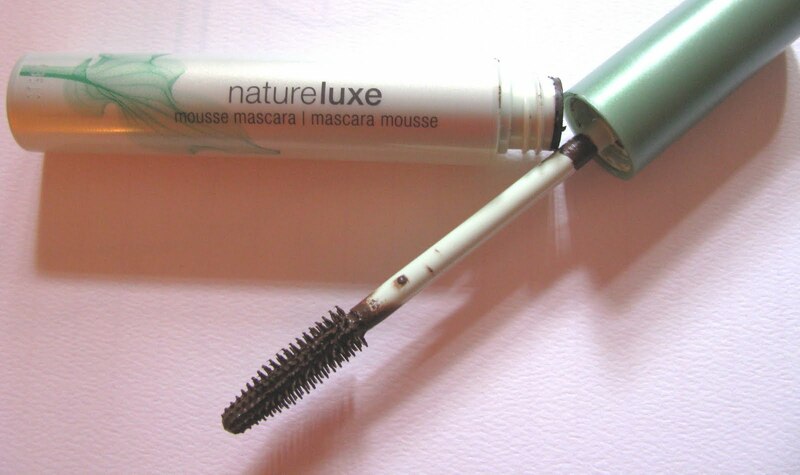 Cover Girl has added mascara as the latest to it's Nature Luxe line . Having a name with Nature in it, we know not to expect showgirl lashes so Nature Luxe mascara is more natural and less bold than say, the Blast line but it's not that natural. Normally I do like a bolder lash but I am also more about length than volume and while again I did not achieve Blast proportions with Nature Luxe I got decent length with 3 coats. Two coats do nicely for a more basic look. But either way it's more than barely there . Your lashes will look "more". The formula is very soft , easily buildable and lashes aren't stiff and there are no clumps. It goes on very smoothly. Mine is the regular version( not water resistant) but that's one of the things I love most about Cover Girl mascaras, that they all are very smudge proof . The Nature Luxe is as well. All day wear with no smudges, no running. This is the one to go to if you want a mascara that looks good but is nothing over the top . It's your lashes but better , but not dramatic either. Give Heidi Klum props for being honest when she talks about what she did and did not want in her new fragrance Shine, debuting in September. No one ever says that even if it's sometimes the truth. Now what will be interesting is to see what the three perfumers , including well regarded Aurelien Guichard for Coty, will come up with. Said to be an oriental it will include top notes of of pear, pink peppercorn, and mandarin ; mid notes of mimosa absolute, sunflower, and lily of the valley in the middle; and Venezuelan tonka bean, vanilla, and musk cosmone at the drydown. My quick non sniffed thoughts? That it's an oriental is a good sign. That it has pink peppercorn maybe not so much . The note list is good and it has solid perfumers behind it. We'll see or smell, soon enough. Pricing is $17 for 15ml , $28 for 30ml and $35 for a 50ml bottle . Cashmere Mist is one of the top selling fragrances. It's widely loved and now there are several additions to the bodycare line called the Ultimate Cashmere Collection. All possess skincare and or anti-aging benefits according to the company. Naturally, they all also have that Cashmere Mist scent. These are a great way to layer your scent or wear it in a different way. I particularly love the Bronzing Gelee. If you want instant tan, this does the job. 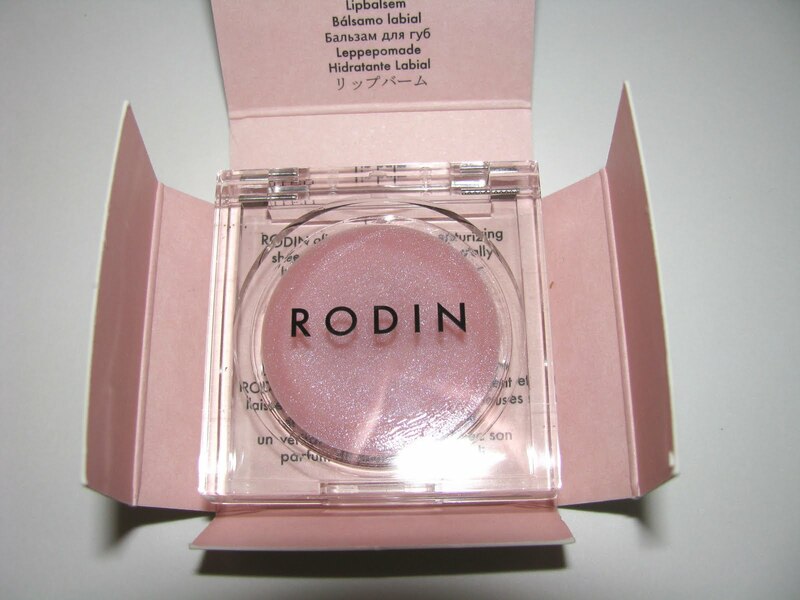 It gives a medium- deep color with some shimmer and has lots of the Cashmere Mist scent. The Gelee is very long lasting and transfer resistant. The next favorite is the Hand Crème. I think we all love a good hand cream, especially one that smells good and this has plenty of moisture as well as using anti -aging spot/discoloration ingredients. All of the Ultimate Cashmere Body Collection are LE and available now. Have you noticed the changes at Talbots lately? For some time they've really stepped up in their fashion and have pieces for all ages and many styles as well as all sizes. I happened to be in a Talbots yesterday and saw this dress along with several others I liked. A day later came the photos of Mrs. Obama wearing it. Called the Shoreline Striped Dress, it's casual/dressy and confortable but not too relaxed. After all Mrs. O wore it to the Congressional Picnic on the White House South Lawn. Not to mention the diagonal stripes are slimming. Other dress highlights were ones made from Rayon and Lyocell. My favorite, a sherbet colored tank style isn't online ( nor is the Shoreline Striped) but this Henley version is. These are super soft and lightweight, making them the weekend dress of the summer. I've already read in several major magazines about Blondes and Chlorine turning their hair green. I've also been telling people otherwise for as long as I can remember. Chlorine doesn't turn blondes green , it's metals in the pool water. Copper especially, but any high metal content can do it. 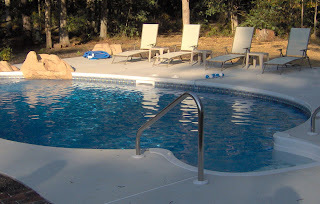 Have the owner add metal or stain remover from their pool dealer and it will go away and the hair will be fine. How do I know this? My family has been in swimming pool business since I was a kid. Mom is a platinum blonde and one of our dogs was blonde also ( and yes occasionally she got green tinted). We always knew when we saw the green tint, that there was copper in the water. I also advised customers to do the same for years and it worked. One thing that can help your hair ahead of swimming is to run conditioner or a protectant spray through it before diving in . I know there are some shampoos on the market for after swimming discoloration but I can't attest to how well they work as I've never used them. The discoloration will go away with regular shampooing but it will take two or three washes. If it's a gift giving time of year , then you know one of my favorite people, Robert Verdi has put togther a fabulous guide . This time it's Father's Day and he's grabbed up something for all types of Dads including my fav of the picks- Carrera Sunglasses and Patch NYC candles. I know many candle loving Dads and I also have one of these very highly scented candles on my mantle right now. I'm all about the self tanner you may have noticed. I like all kinds , gradual, full on deepening and ones that bronze and tan. It's equal opportunity tanning. In the gradual department is one coming in July from Avon's mark. Called Got To Glow Gradual Glow Body Moisturizer Lotion , this not only self tans but also has SPF 15. I have the Light to Medium version and when they say gradual here , they mean it. On my pale arms 2 applications yielded a tiny hint of color. But on my one week previously self tanned legs , the color got a nice boost from 1 application of this. The formula is very thin , and lotion like, so it's super easy to blend ( just be careful not to squeeze out too much), dries fast, gives even color and has a nice, light floral scent and adds a good bit of moisture too. 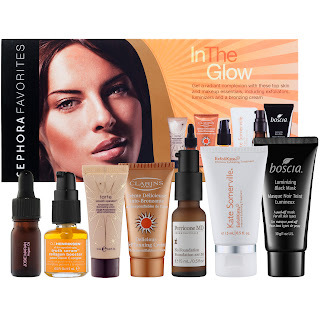 Sephora's Favorites In The Glow is an LE set of summer goodies to make your skin look its best. It's also a great way to try out many new products at once. 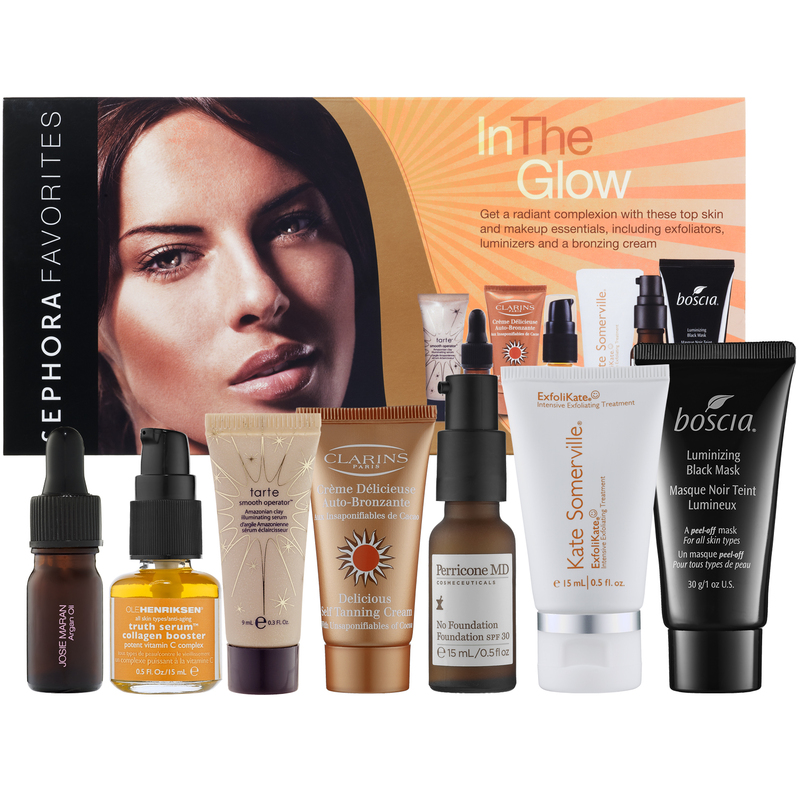 The set includes Clarins self tanner ( some of the best self tanners you will ever use) and the bestselling and always selling out Boscia Black Mask. NYX 's Round lipstick line has added 24 new shades for summer to the existing line, which totals a whopping 144 in all. 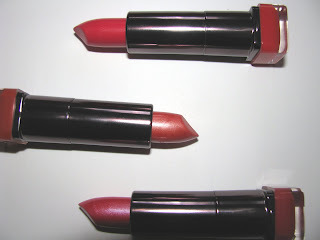 The lipsticks are super creamy with good coverage, moisturizers and last nicely. For $ 4 you're bound to find a great summer shade or two and not break the bank. The quality here is excellent for the price. 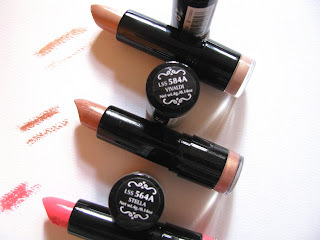 My three shades shown are Uberchic, Vivaldi and Stella. You all know I love my neutrals but a puncy peachy coral is a nice change once in awhile. Cover Girl recently asked me to test their new Lip Perfection lipsticks for 7 days and report back. They sent a nice shade selection and I went to town trying some of the shades. The new lipstick is said to increase lip's hydration and comfort level in 7 days as well as being a full coverage lipstick. Lip Perfection reminds me of the lipsticks of many years ago, the ones our moms or grandmoms wore, that were as I said above, full coverage and also loaded with pigment . To me, they are old fashioned types with a modern edge. They sit heavier on the lips than most I am used too, but yet have a light feel as well. And the heavy duty moisture is a modern touch that is great. This is one of those rare , pretty much never happens ,times when I am going to say I like the satin finish better than the shimmer. The shimmer is pearl, a heavy pearl and there's something about it that just doesn't look right on me. I adore shimmer normally, if you read here at all you know that. 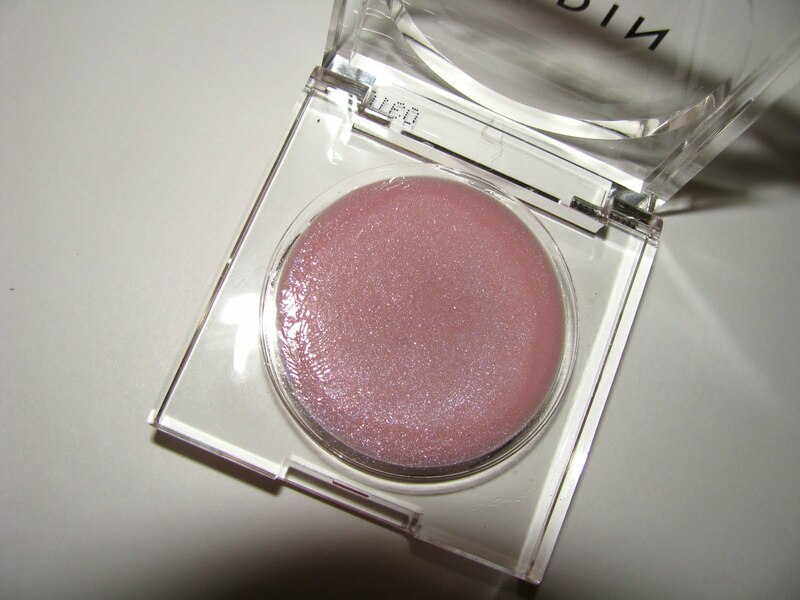 But this is almost an opaque shimmer. The satin however is very nice. Not flat, it has sheen but no pearl. The pigment in Lip Perfection really lasts. I had almost a stain like finish on my lips after a couple hours wear and that stain lasted hours more. As for the conditioning part, they aren't lying. These are soft and softening. Creamy and moisturizing. And that was right off from the first wear. They glide right on lips. As for my lips, well it's hot out, and I have no isssues with lips being dry or chapped right now, so I can't say if my lips felt much better after 7 days. Will they make your lips feel softer if they are chapped ? Yes, they will. They'll be especially good in the cold weather, when you can really test out the moisture benefits. Lip Perfection is in stores now , and available in 42 shades. Shown , top to bottom , are Delight , Kiss and Feline. I have never used any Beauty Balm or BB creams before. I do know they are all over the market now and so I'm testing and reading up. My friend The Muse is the queen of BB's. She has used many of the Asian ones ( called Blemish Balms there) and has written a lot of posts describing the difference between Asian and US versions. Thus far she's my education in these. Thus far too, I wasn't really thinking I needed or wanted to use one. 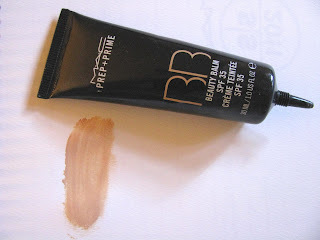 So MAC's new Prep and Prime BB was my first Beauty Balm and I have to say I really like it. I didn't think I would and I honestly didn't expect much. I figured it wouldn't work with my oily skin but then I read the ingredients ( no emollients) and that it's a primer and perfector, not a tinted moisturizer, which I now know no BB creams are. I should say here too, that I rarely use primers for the same reason. Most are hydrating and not for me. Only Cover Fx Matte Prep works all the time and in winter sometimes I use L'Oreal Studio Secrets base. That said , I also well know how much a good primer can do. MAC BB balm makes a great canvas for makeup. It's not really meant to be worn on it's own ( as Asian BB creams are ) and if you do , you'll have a nice , smooth look with pores filled in but little coverage. The finish is satin, not matte , and I was able to use it in the T -Zone. I wasn't much less oily but I wasn't more oily which is key. I liked that my makeup lasted longer and that it looked better . I also really like the SPF 35. That's high for a makeup product and it seems to be a hallmark of BB creams. The color here is flesh toned and very light , almost sheer. It should work on a lot of skin tones. I'm fair and it blends right in but it also blends right in on my self tanned arm. In fact the swatch picture I took was useless since it did blend into the skin and you couldn't even see it. MAC Prep and Prime Beauty Balm is available online now and will be only online. It will be sold at travel retail and in Asia it will be in MAC locations. Another potential Father's Day gift is the Aveda men's line. They make some lovely shaving items including Pure- Formance Shave Cream and an Pure-Formance Dual Action After Shave balm. The balm has a ice light scent is moisturizing and has skin benefitting antioxidants as well as ingredients to reduce oiliness ( sebum). The shave cream has organic lemon, verbena and lavender for a nice aroma and helps against razor burn. Both are over 90 % naturally derived. 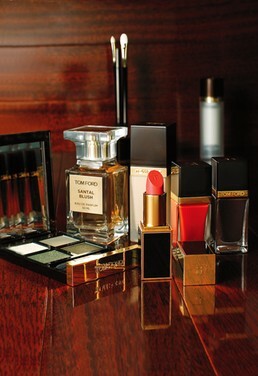 Rumors have been circling for awhile that Tom Ford would go full on into makeup and now we have confirmation. The 132-piece collection will also include skin care. It will debut in September and will be high end, much like his lipsticks have been ( but they are oh so nice ). There will also be two new fragrances Santal Blush and Jasmin Rouge. The look here seems to be very reminiscent of the 70s , and Lara Stone could easily be channeling Jerry Hall in the adverts. Personally, I can't wait to see it. The color collection will range from $30 to $250. What could be better for men than a Line called Dirty ? Leave it to LUSH. Timed right for Father's Day here in the US , these are fun, useful products that any guy would like. My dad was quite thrilled with the Springwash shower gel which can be used for body and hair. He said it did really well as a shampoo. ( and despite being very much a man's man,who works in dirt most days, he's fussy about shampoo. ) It smells of mint and herbs and can easily be unisex. The body spray went over well too and I thought it smelled pretty nice. This is the time to up your guy from Axe . With minty and woodsy scents that aren't too strong but fresh and refreshing, the new line consists of shave cream, shower gel, body spray , hair gel and a nice gift set all wrapped up to go. Contains: Dirty toothy tabs 0.09g, Dirty perfume 2ml, Dirty Springwash shower gel 100ml, Dirty shaving cream 45g, Dirty hair cream 15g. Dirty Spring Wash Shower Gel ($9.95 for 3.3oz, $17.95 for 8.4oz, $26.95 for 16.9oz)- Minty with thyme and sea salt that conditions skin. Dirty Shaving Cream ($12.95)- Uses softening oats and benzoin, with lavender and sandalwood. Smells great ( you might want to borrow this one ). 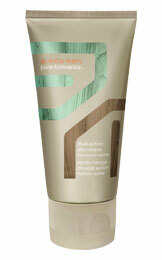 Dirty Hair Gel ($12.95)- Firm hold and conditioning with fair trade coconut oil, linseed oil and balm herbal infusion. Dirty Body Spray ($19.95)- Herbs and woods . Mountain fresh and light. 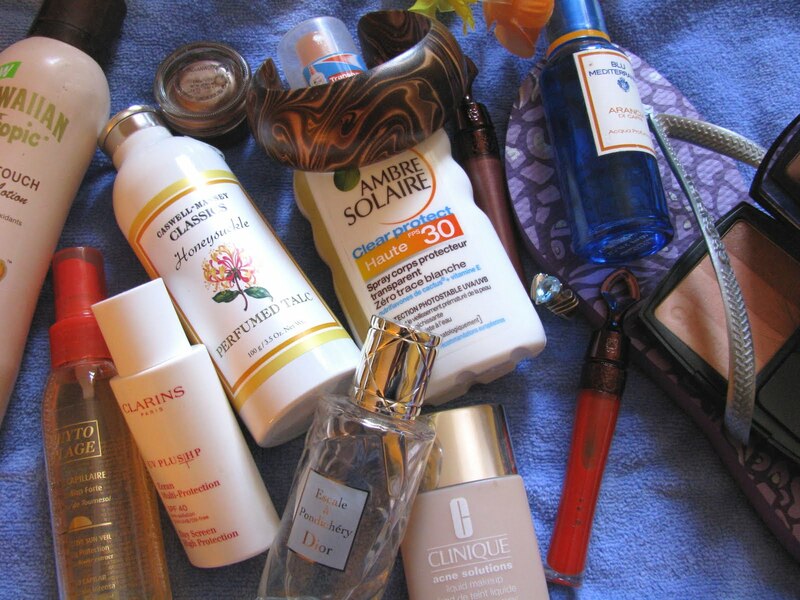 Summer brings it's own special makeup , skincare and accessories. With my oily , perspiring skin, nothing heavy will do and I like to get a bronzed glow on. I also love big bracelets as opposed to necklaces that sit on a warm neck this time of year. Here are some of my every day staples of summer. Links lead back to my original review if there was one. Havaianas- I used to think what's all the fuss about these flip flops? Then I got a pair. Now I have 4 and feel like I need many more. Far more sturdier than most and very comfortable . 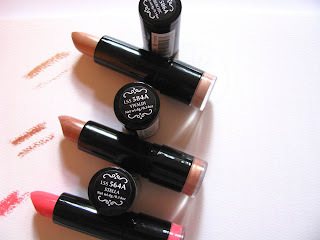 Guerlain Terracotta LipGloss- They release these in summer for a reason, they're totally right for the season. Usually they have SPF , unfortunately this time they don't. But the new bright coral shade is sheer and juicy, and really not overly bright. Perfect for a pop of color. Still using last year's more neutral bronze shade as well. Doesn't hurt either that the packaging is so hot. Dusting Powder- I live for dusting powder when it's hot. They refresh, cool and add light scent. Right now I am loving Caswell Massey's Lilac and Honeysuckle scents and Penhaligon's Violetta ( when do you ever see violet powder ? I've hoarded my tin for years now). Citrus Fragrances- As much as I love fragrance, when it's really hot I can't do the heavier scents. I adore citrus always but especially in summer. There are too many to show all of here, but Dior Escale a Pondicherry and Acqua Di Parma Arancia di Capri are two tops favs. Lancome's new O d'Azur and Annick Goutal's Eau de Hadrien and Ninfeo Mio are others that get a lot of use. MAC Paint Pots- Cream shadow rarely if ever lasts on me but Paint Pots really work well. Better than powders often. They are easy and look great. Favorite shade is Indianwood. Chanel Bronzer- I have two season's past version but they've released one this year too. What makes this bronzer special is the bands of color. Just a hint of shimmer and not too dark. You can skip the darkest ones if needed ( I usually do) and just swipe across the shades that look best on you. I use the bottom ones for a nice light tan look. Ray Ban Wayfarers- I wore these when they were cool the first time, I wore them when they weren't in style and I wear them now that they are back again. I've never stopped loving my Wayfarers and that's that. ( But somehow they got left out of the picture). Clinique Acne Solutions Foundation- Kept my skin in top shape last summer, helping to hold back the oilies and acne . It'll be back in the regimen this summer too. No messing with perfection. Sunscreen (of course)- Hawaiian Tropic Sheer Touch SPF 50 , this really holds up in water, best I've used for that. Anything with Mexoryl in it. It's the best SPF. Currently finishing my Ambre Solaire from France and have an Ombrelle waiting to be opened. For face- Clarins UV Plus HP -no moisture, just SPF 40 , mineral and plant based. You never even know it's on. Skinceuticals Physical Fusion SPF 50 is my second fav for face. Bangle bracelets- Easy to wear when hot. Less sticking to your skin. This one is made of Mango Tree wood . These are super fun, tribal looking, comfy and inexpensive. I also have a faux Ivory $3 one from H&M years ago that I wear all the time. Blue Topaz ring- Thankfully I bought good jewelry back when it was really well priced . This ring came from QVC at least 10 years ago and is Blue Topaz set in sterling. I have another similar one but set in a simple band. These are great for summer as the blue pops with a tan, is a summer color and they are bold enough to stand without other jewelry or look great with bangles . Phyto Sun Haircare- For the past 2 summers the Phyto Plage Protective Sun Veil spray followed me to the pool. I use after swimming and run it through my wet hair. 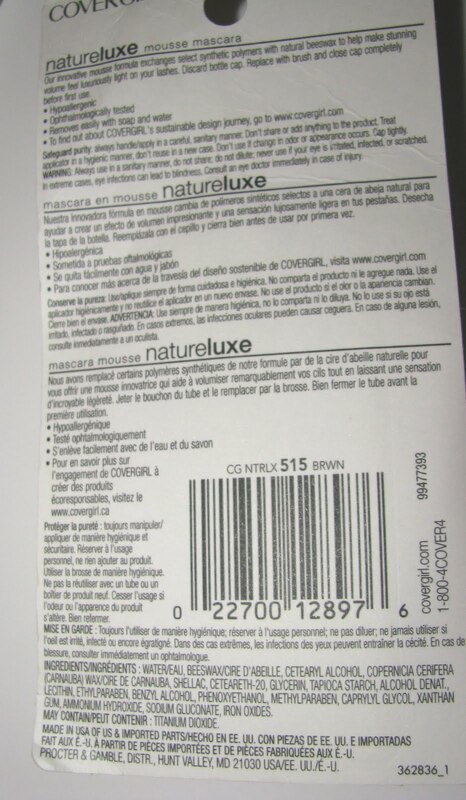 It keeps it feeling soft and compensates for the drying and acidic effect of the water. If you have colored hair, it helps hold color in as well. What are some of your summer staples? I'd love to hear . 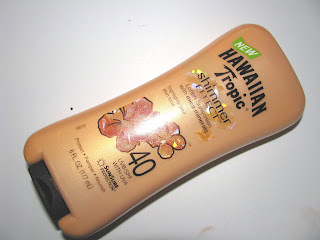 Last year's Hawaiian Tropic Sheer Touch SPF 50 was one of my staples . It really lasted in the water and of course smelled great. 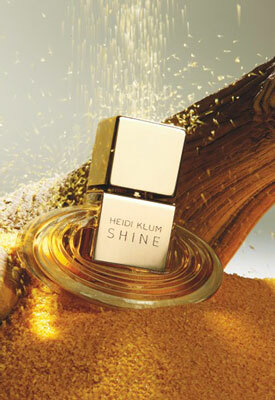 This season the company has added Hawaiian Tropic Shimmer Effect in SPFs 20 and 40. I haven't tested these in water yet ( and it's not listed as being water resistant) but I have used the SPF 40 for daytime a lot. I love the hint of both shimmer and the tropical scent. The scent is just enough and I can still wear fragrance if I want ( and this is me of course I wear fragrance). The shimmer is subtle. You can see it but only if you look hard. You won't be glittering in it. 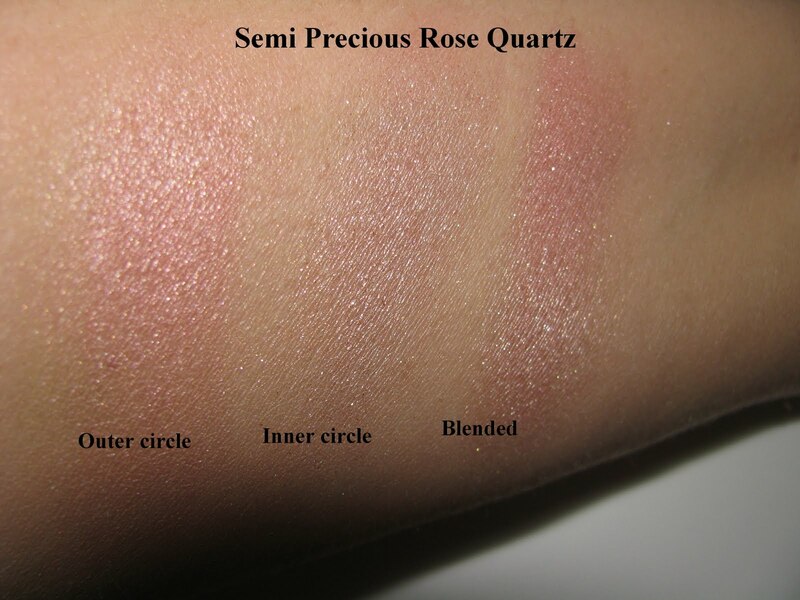 Shimmer Effect is a somewhat less creamy than the Sheer Touch. It's lightly moisturizing and sinks in fast and once it's on, you can't tell. And while I have been trying to use more physical vs. chemical sunblocks, I had such good success with HT last year I plan on using this one all summer, despite it not being physical. Sheer Effect does have Hawaiian Tropic's ® patented SunSure™ Formula that they say provides safe and effective broad spectrum UVA and UVB protection that won’t break down in the sun. Retail is $ 8.99 but there have been lots of deals lately at all the drugstores. How cute are these Mini MACs ? 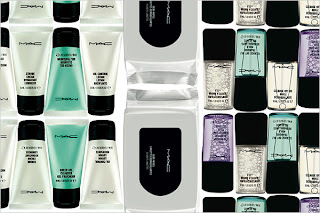 Called MAC Sized To Go, these are airline approved travel sizes of some of their best selling skincare items. They travel easy but also as pointed out by MAC , go well in a small space. Great for the vacation home or the office desk or yoga bag.